Are you looking to hire or book a WATER BOWL performer for events? What exactly can a WATER BOWL entertainer do at any event? 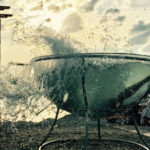 This type of water performance has been given many names in the past for example champagne glass entertainer, water basin performer or wine glass acrobatic entertainer. How the entertainer performs in strong and sturdy perspex wine glass is very simple. The WATER BOWL is set up at a certain location and water is poured into the bowl the acrobatic entertainer then immerses themselves into the WATER BOWL and to a slow or dramatical piece of music their performance commences. No matter where you watch the acrobat in action in the WATER BOWL it is an incredibly impressive live performance especially with the effect of doing acrobatic contortion moves with in the water. No location is too exotic or extreme for the WATER BOWL performer. 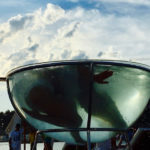 Previous acrobatic WATER BOWL performances have been done on luxury yachts, on top of mountains, on a strategical viewpoints where passers-by can see thus being in a shop window or poised on a pedestal that stands 2 to 3 m high in the air. 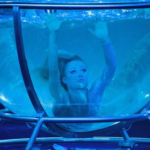 This acrobatic WATER BOWL performer for events has also had their WATER BOWL positioned on an island in the middle of a swimming pool for her to perform her acrobatic moves within the WATER BOWL. Whether it be an event that is beside a swimming pool or at a beach front this WATER BOWL acrobatic entertainment show can be themed according to your event where by the actual WATER BOWL can contain coloured water or painted in a specific way. The acrobatic entertainer can also be dressed as a mermaid or certain costume colours according to the specific event. 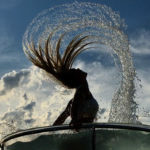 This entry was posted in Entertainment, Streets Utd News and tagged acrobatic water entertainment, entertainment water show, water bowl acrobat, water bowl entertainer, water bowl entertainment show, water bowl performance, water bowl performer, water bowl show, water entertainment, water entertainment shows, water themed events.